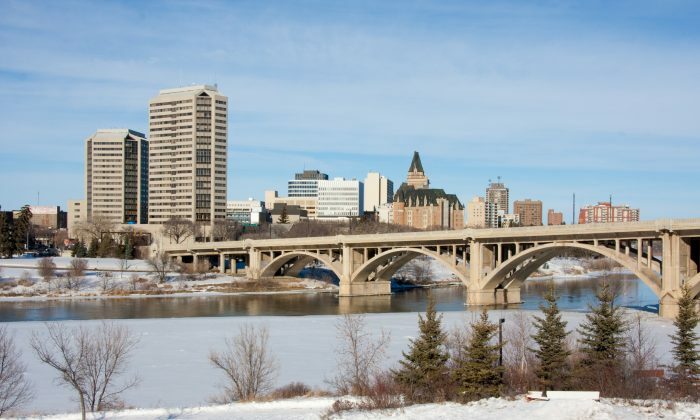 SASKATOON—Saskatchewan’s record−smashing cold has caught the attention of a senior climatologist at Environment Canada. David Phillips said it’s tough to break records when temperature statistics date back to the 1880s, but that’s exactly what happened in Saskatoon on Feb. 6. The city shattered a 112−year−old cold mark when the temperature plummeted to −42.5 C. The previous record for Feb. 6 was set in 1907 at −41.7 C.
The normal temperature is −17 C.
An extreme cold warning continued for the entire province on Feb. 7 and was expected to last through the week. Environment Canada said it issues such warnings when people are at a higher risk of developing frostbite or hypothermia by being outside. Phillips said the northern Saskatchewan community of Key Lake was the coldest place in Canada on the morning of Feb. 7 when residents woke up to a bone−chilling −45.7 C.
February so far has been colder than normal, he said, but temperatures in December and January were a few degrees warmer than average. As for the question of when the deep freeze will end, Phillips said highs in Regina next week are forecast to hover around −15 C.